Keep your electronics and your home safe from electrical surges by following these handy, and life-saving tips! Think about the myriad electronic devices you have in your home. TV, stereo, PC, Wi-Fi modem, router, charging devices, kitchen appliances and now personal assistants like the Echo and Echo Dot. All of these devices are constantly plugged into a power source and represent a significant outlay of your hard earned cash. So one ill-timed bolt of lightning (which strikes Earth 100 times a second) can scramble all of your electronics like an egg as you watch your investments suddenly become useless. So what to do? How do you protect your valuable electronics from electrical surges? 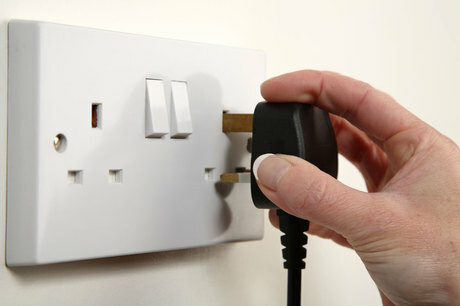 Many homeowners are familiar with and utilize Surge Protectors for their home computers. Inexpensive and effective, these devices absorb the added voltage from an electrical surge but protect your electronic equipment. An electrical surge might just fry your surge protector, but given the cost differential between them…utilizing a surge protector makes sense. An uninterrupted power source protects electronics in a little different way—it conditions electricity to consistently deliver 120 V/60 Hz. This consistency helps delicate electronics operate properly and avoids performance deficiencies that can take place from slight to moderate variances in voltage that’s normal in a home electrical system. Have you protected your stereo/TV system with a surge protector but have also plugged your DVD or Blu-ray player directly into an outlet? If you’ve done so, and also connected your DVD into your stereo system, you bypass the benefit of a surge protector and created a direct communication from an electrical surge to your TV (via the DVD). Make sure ALL of your interconnected devices are plugged into a surge protector. If lightning does impact your surge protector or UPS, replace it immediately—and give the unit that saved your electronic devices a proper burial. Ask a teenager who’s come home late for curfew and they won’t agree that being grounded is a good thing. For your electrical devices, being grounded is magnificent!! Make sure that your UPS and/or your surge protector is plugged into a properly grounded outlet. 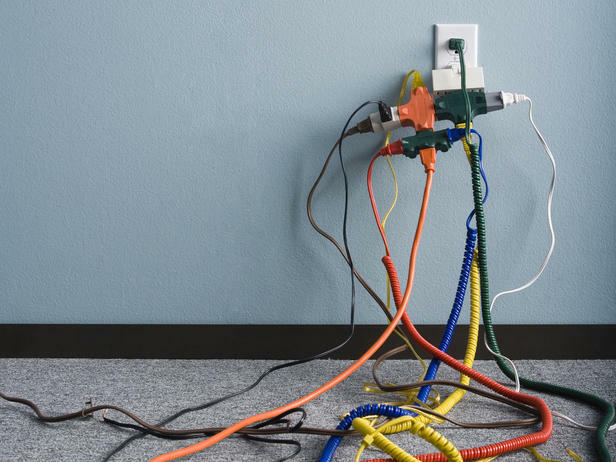 Not sure if your outlets are grounded properly? Don’t take that chance—call a Sydney electrician and have them come over to check your home’s electrical wiring to ensure that it’s properly grounded. Note that heading—it doesn’t say don’t overload your outlets. A circuit is often a combination of outlets; overloading any one of them can have deleterious effects on the other outlets (and electrical components) in the circuit. 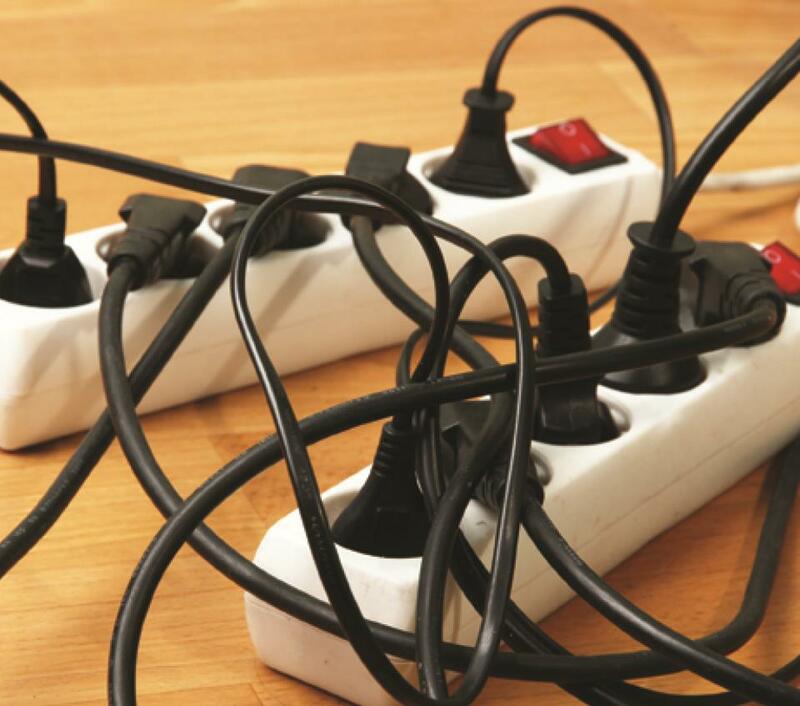 Furthermore, overloading one outlet can result in overheating which can lead to a fire hazard or an electrical short along the rest of the circuit. Make sure that you plug your UPS and surge protectors into grounded outlets and that they don’t complete for electricity along the same circuit. So, how do you stop something that travels at the speed of light? Use a lightning arrestor, of course. This device (have it installed by a qualified electrician) “arrests” the surge of electricity from a lightning strike before it enters the home. Note—this is not the same a lightning rod It offers a ‘first line of defense’ for your electronic devices and help surge protectors and UPS devices do their jobs. You CAN protect your electronic devices from electrical surges (short of unplugging them every time there’s a thunderstorm) …but you need to plan accordingly.